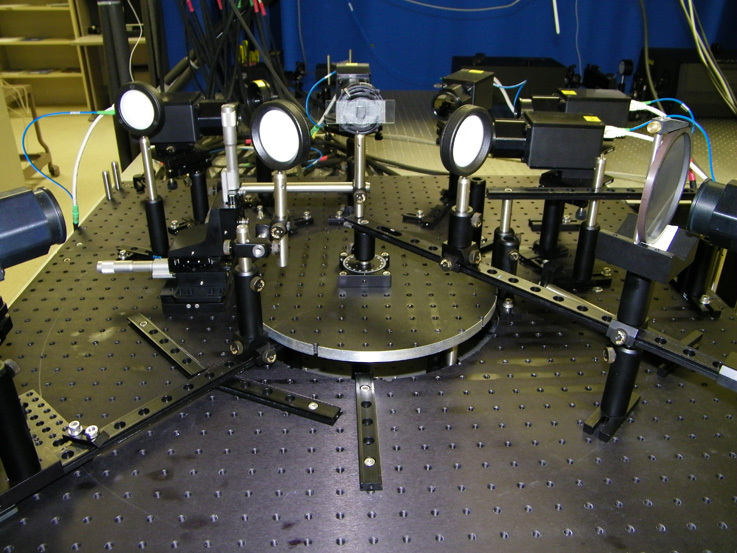 Welcome to home page of the WSU Terahertz and Ultrafast Photonics Research Group. 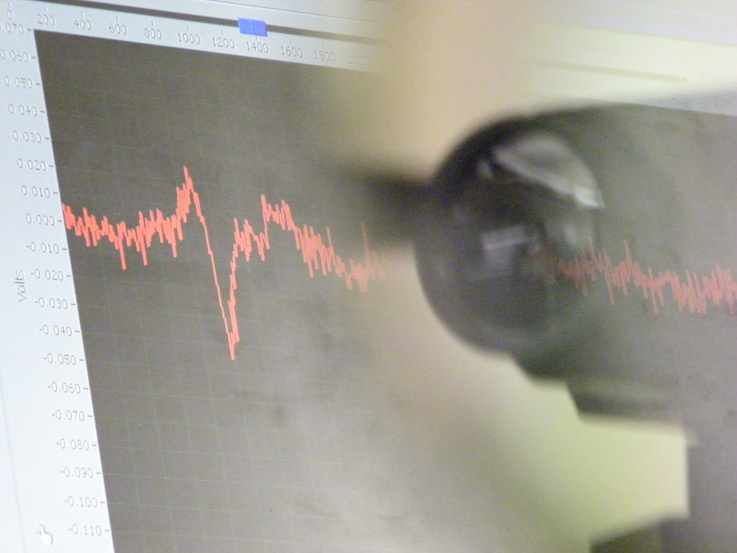 Our research group focuses on the development of terahertz science and technology. Our mission is to use ultrafast lasers to not only generate and detect pulsed terahertz (THz) radiation, but to also develop new terahertz systems, explore new materials, and to boldly conduct terahertz experiments that no scientist has before. 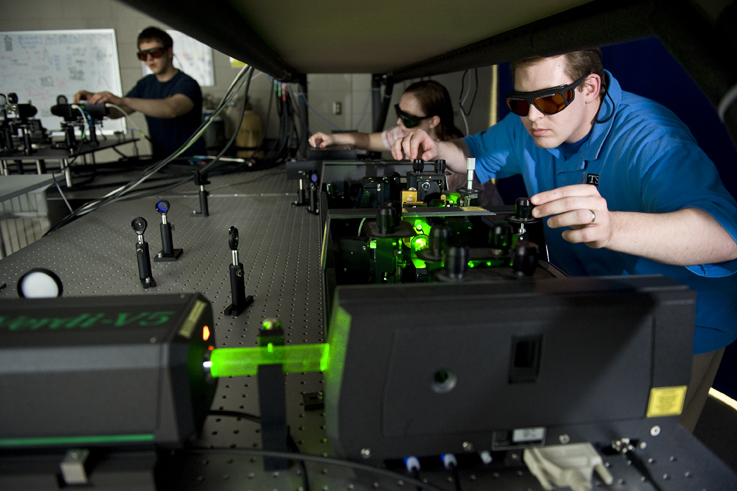 Research in our group spans multiple disciplines and involves aspects of materials science, optics, physics, electrical engineering, and computer science. To learn more about our research team, projects, or equipment, please explore the web links located to the left or contact Dr. Jason Deibel. Our lab facilities are located in the Department of Physics at Wright State University and also at the Institute for the Development and Commercialization of Advanced Sensor Technology (IDCAST) THz Collaborative Research Center. Lab tours are available on request. 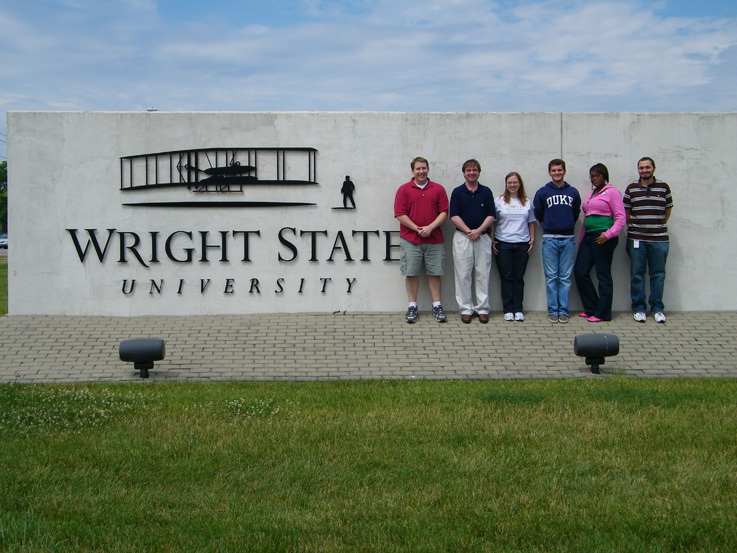 We are affiliated with the Wright State University Department of Physics and the Department of Electrical Engineering as well as the Institute for the Development and Commercialization of Advanced Sensor Technology and the WSU Center for Multi-functional Nanomaterials. Last updated Wed. Aug.-12-09, 12:01. Please send comments to: Dr. D. at his email address.